Fir Tree has been established for over 30 years (License Number LN/199500159) and has produced some fantastic riders. We cater for all ages and abilities. although we do aim for both! We have been in this business a long time, and understand the needs of the individual, whether it be a two year old child that needs to incorporate fun into learning with games & visual aids or teenagers who want to bomb around & jump or adults that rode as a child and want to start again, we cater for everyone. We have over 30 horses & ponies in the riding school of all ages & abilities, just like our riders. My Mum, Mrs Bennett, started ‘Bennett’s’ Riding school in 1975 at Crossfield House in Skellow. We had two pony’s called Percy and Suzy. I helped my mum out as often as I could and a few years later I was taking regular hacks out at weekends. One client that used to attend my hacks back then is still riding with us today and has a horse called Lassie on livery with us! Our business slowly grew until we had about 12 horses and ponies in our riding school. 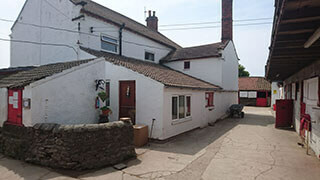 In 1983 we moved to Fir Tree Farm, Moss where we continued to run our riding school which is still running today as Fir Tree Equestrian Centre with over 30 horses and ponies to choose from. I have taken an active part in the riding school and have helped develop it into one of the leading Riding Schools in Doncaster. 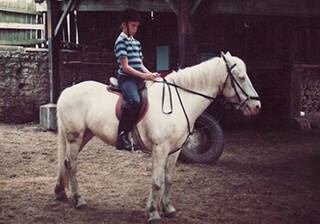 I took time out for a few years in my 20’s to see the world and qualify as a riding teacher obtaining my BHSAI, I taught in America whilst I was over there and when I came home I taught at local Pony Clubs and trained people for Riding and Road Safety and also became a Riding and Road safety examiner for the BHS. I have been married for over 20 years to Richard and have three children, two of which are actively involved with horses and who help out at weekends with lessons when they are not competing at local equestrian competitions. We are a friendly bunch (so we have been told) and we include all sorts of riders in our weekly plan from toddlers to teenagers to pensioners, from the nervous and inexperienced to the confident and competitive. Our main full time staff have originally been taught by us and have learnt and progressed with us and others to give them a good range of knowledge to pass on to you. We encourage you to work with your horses on the ground by grooming and tacking it up, giving you an understanding of its nature and personality which in turn will help you be a more confident rider. Although we teach all riders the basics we also encourage you to develop your riding to the individual needs of the horse you are working with therefore giving you a wider range of skills. We are open 6-7 days a week so why not pop along for a look round and have a chat to one of our staff about the kind of lesson that you would like to attend, they in turn will give you a few leaflets about prices and times and suggest what will suit you best.